Dell PN: W0978. This fan and heat sink assembly works with any Inspiron 5150. Good Condition: Working Pull. W A R R A N T Y - I N F O R M A T I O N.
Includes Inspiron 5150 read / reed switch. Dell Part Number:T1485. Condition: New, Like New! W A R R A N T Y - I N F O R M A T I O N.
(Unless specifically listed otherwise). Drivers not included unless specifically listed. New laptop ac adapter charger. Comes with power cord. You will receive a high quality aftermarket adapter. 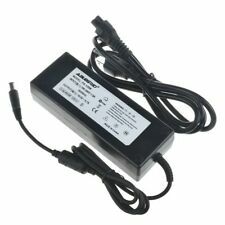 Input: 100-240V ~ 2.5A 50-60Hz Output: 19.5V - 6.7A Watts: 130 Watt Part #'s: PA-13, X9366, 9Y819, W1828, D1078, TC887, X7329, D1078, K5294, 310-4180, 310-6580, 310-8275, 310-7848, 310-7849. Compatible Models: Dell Inspiron 5150, 5160, 9300, Dell Precision M90, M6300, Dell XPS M1210, M170, M1710, GEN 2. Dell Inspiron 5150 5160 9300 Laptop. (Non-OEM but 100% Compatible). The trademark owner manufacturer does not necessarily endorse the use and performance of our products. Quantity: 1 Unit (Included Free Power Cord Fit Your Country). For Sale: One original, genuine Dell laptop DVD/CDRW drive, DELL P/N 0M5585 (M5585). (1) DVD-RW Drive, DELL P/N 0M5585, S/N: PH-0M5585-70619-4AM-01T0. DELL Inspiron 1100, 1150, 5100, 5150, 5160 laptop PC's;. Dell Part Number: 3U721. Dell Inspiron 1100 1150 5100 5150 14.1" laptop / notebook LCD Front Trim Cover Bezel Plastic. Manufacturer Third Party. Condition New Other, Tested, 100% working condition. Dell Hard Drive Caddy. Dell Inspiron 1100 ,1150, 5100 ,5150. New IDE connector Dell P/N 8267R. DELL P/N 05w557/5W557. Hard drive is not included. Compatible system. DPart Number: 5X486 or 6G515. Dell Inspiron 1100 / 1150 / 5100 / 5150 / 5160 / 2650 / 2600 keyboard. -Latitude 7490 Inspiron 1100 / 1150 / 5100 / 5150 / 5160 / 2650 / 2600. Condition: Excellent New Condition, Tested Like New. This is a genuine original part. Approvals CE,FCC 100% OEM Compatible Over-charge protection Short Circuit Protection Over Voltage Protection Electromagnetic Compatibility Input: AC 100V - 240V 50-60Hz Input Connecter standard: 2 pin DC Output: 19.5V 4.62A 90W Connecter size: 7.4mm*5.0mm (ref to the picture). Input: AC 100V - 240V 50-60Hz 4Line regulation (full load): ±0.5% Peak- to -peak ripple: Working temperature: 0-35℃@100%,50℃@70% load Setup rise hold up time: 100ms,50ms,20ms.240VAC input Strong made totally compatible part Over voltage protection: 115%-135% rated output voltage Withstand voltage: I/P-O/P 3Kvac,1 minute. Bottom Case FADW006A000. DELL INSPIRON 1150- 5150. It’s Necessary For The End User To Check With The Manufacturer, Manual Or Other Web Sources To Insure Compatibility. Product Type. We Are Dedicated To Provide You With The Best Service Available, Before, During And After The Sale. Dell Part Number: 1W203. This is a 14.1" LCD Latch Hook for a Dell Inspiron1100 1150 5100 and 5150 laptop computers. P A Y M E N T - I N F O R M A T I O N. See Picture. W A R R A N T Y - I N F O R M A T I O N.
Dell Part Number: 8N911. This is a 15" LCD Latch Hook for a Dell Inspiron 1150 5150 5160 laptop computers. P A Y M E N T - I N F O R M A T I O N. See Picture. W A R R A N T Y - I N F O R M A T I O N.
Used caddy for 1150, 5150. 1100, 5100. D Part Number: G1192. Condition: New. DELL INSPIRON 1745 1530 1110 5150. Use temperature protection NTC. Use insulation paper to isolate electrodes. Use fire protection glue paper and silica gel for safety features. Type: AC to DC Standard. You will need your own caddy and install disc ready to install on your Dell. This 2.5" hard drive is an IDE/ATA drive equivalent, rotation speeds may vary. We have up for sale an IDE / PATA Hard Disk Drive.